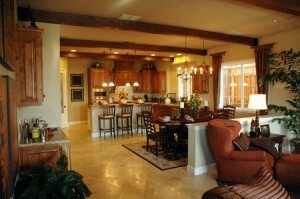 The kitchen is one of the most occupied rooms in your home. You will cook in it, eat meals with your family in it and entertain friends and family in it. Therefore, you will need to create a space that allows you to cook and entertain without feeling like you are closed off from everyone else in the house. What are some kitchen trends to take note of in 2016? If you are thinking about buying new kitchen cabinets or undertaking a kitchen cabinet refinishing project, you won’t go wrong with grey. Whether you choose to stain or paint the cabinets, it provides a neutral color that you can build the rest of the room around. Alternatively, you may want to choose white or beige to create a look that will stun both today and in years to come. It can be a pain to have to open and close a cabinet door each time you want to get a plate, a cup or a pan to cook on. New cabinets can open or close on their own or stay open until you push a button to close them. Additionally, cabinets and drawers are being designed to open up instead of just swinging outward on their hinges. This enables you to put cabinets in areas that may have been wasted space in the past. Modern kitchens are noted for being larger than life. This means that you want to put in large chandeliers or other fixtures that will scream out at whoever walks into the room. You may also want to opt for colorful sinks and backsplashes that have a combination of bright colors and modern metallic looks. 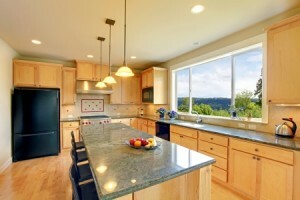 Additionally, you shouldn’t forget to clean your counters, floors and other fixtures on a regular basis. Oriental rug cleaning may also be a good idea if there is one in your kitchen. These days, a kitchen isn’t really a kitchen unless everything can communicate with you. This means that your refrigerator better be able to tell you if it has having trouble making ice or allow you to lower the temperature inside from your smartphone. Newer models even allow you to look through the refrigerator door and peer inside just by holding your phone up to it. Smart dishwashers can make it easier to control how much water you use as well as find out if there are any mechanical issues before they become major problems. Is the Average Residential Kitchen Not Enough? Why would you ever go with a residential fridge when you could have a commercial grade one instead. This allows you to store an entire family of chickens or turkeys instead of just a few cuts that you had to buy at the store. Commercial grade counters make you feel like you are getting ready to cook at a fine restaurant instead of in your own home. An island is a square table or counter that is put in the middle of the room around which you can put chairs or other objects to sit on. In addition to providing an ideal space for eating or laying down snacks for a party, it can make your kitchen look larger as well. If your kitchen doesn’t have an island, it may be possible to put one in without having to significantly alter your existing space. In 2016, you need storage, technology and colorful fixtures to truly have a top-notch kitchen. 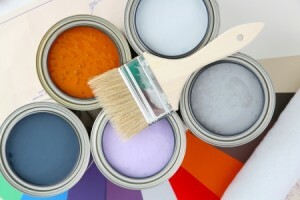 If you don’t have them currently, it may be possible to remodel your room to add them either on your own or with the help of a professional.